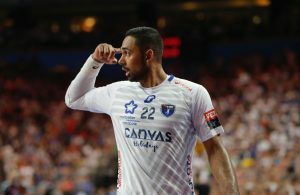 Home / News / EHF / FLENSATION over poor PSG – Wisla save fortress against Veszprem! FLENSATION over poor PSG – Wisla save fortress against Veszprem! Great handball Saturday at the VELUX EHF Champions League Group A! SG Flensburg ended small crisis in domestic league by smashing the richest team in the world, PSG Handball 39:32 (21:16) in front of over 6.000 fans in FLENS Arena! It was FLENSATIONAL moment for Ljubomir Vranješ and his guys, who proved once again that they can beat any team flying on the wings of home support. Unofgetable 60 minutes of unique handball pleasure to his fans gave outstanding Danish left wing Anders Eggert, who netted 13 goals from 16 shots. His biggest support was Holger Glandorf with nine goals, while in French squad two biggest stars Nikola Karabatic (7) and Mikkel Hansen (9) were far ahead of the rest of the team. Orlen Wisła: Corrales, Wichary – Daszek, Racotea 1, Wiśniewski, Pusica, Ghionea 3, Rocha 9, Zelenović 4, Montoro, Tarabochia 4, Konitz, Oneto Zuinga 1, Nikcević 1, Żytnikow 4. 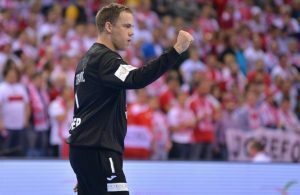 Veszprém: Alilović, Mikler – Gulyas, Ivancsik, Schuch, Ilić 4, Palmarsson 1, Nilsson 6, Nagy 3, Zeitz 1, Ugalde 3, Marguc 6, Rodriguez 2, Terzić, Lekai 1, Slisković. RK Celje Pivovarna Laško showed classy performance in Istanbul against Besiktas MOGAZ 30:24 (13:13). Bešiktaš: Demir, Kocić, Mercan, Caliskan, Arifoglu 1, Pribak 3, Boyar, Buljubašić, Yilmaz, Ozbahar 1, Dačević 6, Coban 3 (1), Đukić 3 (1), Done 7 (5), Rašić. Celje Pivovarna Laško: Lesjak, Dobaj, Blagotinšek 2, Ivić 4, Babarskas 3, Janc 4, Razgor 7 (2), Marguč, Poteko, Potočnik, Zarabec, Kodrin, Fižuleto 1, Dobelšek 1, Mlakar 7, Žvižej 1. ← Previous Story INTERVIEW – Bob Hanning: I live my dream with Fuchse Berlin! Next Story → EHF CL 2015/2016 Group C: FC Porto and Meshkov Brest convincing at the start!